Everybody has stuff they can’t get over! Sometimes you can’t just pick yourself up and move on. But even then, there is hope. When hard times strike, we long for the day when we will “get over it” and have closure. This is a difficult—often impossible—road to travel. There are some things in life that we must learn to live with because they will never truly go away for good. Despite that truth, there is life—rewarding and abundant life—after heartache and pain. 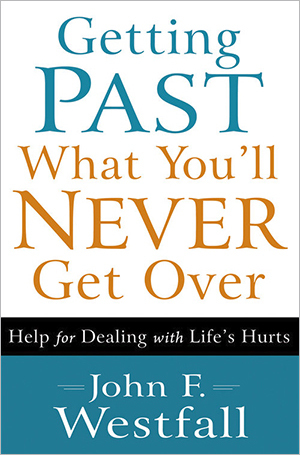 With deep compassion, John F. Westfall leads you beyond your pain and into a life of confidence, freedom, and secure joy. With humor and vulnerability, he shows you how to move forward beyond fear, regret, guilt, and bitterness into a life worth living. You may carry the wounds of the past, but that doesn’t need to keep you from living a hope-filled future.